This paper maintains that marketers should take an expanded view of marketing research and practice to comprehend today's global political, economic, and social environments fully. Marketing is the central mediating variable in the attainment and consolidation of power by politicians, governments, and nations. Given marketing's pivotal role in the modern context, the New Paradigm Marketing Model is developed to illustrate consumer/citizen, institutional, and macro-environmental interdependencies from a global perspective. The potential dangers and opportunities evident in this new marketing paradigm are discussed in relation to the marketing discipline and its application to issues confronting consumers and the larger society. Kahle, L. R., Marshall, R. S., & Kropp, F. (2003). The new paradigm marketing model. 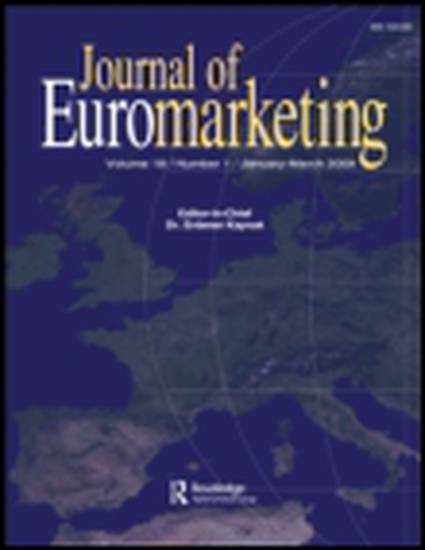 Journal of Euromarketing, 12, 99-121.